This is a wonderful side dish for an Asian meal. AMAZING flavor -- love, love, love the sauce. It's spicy! We sauteed the garlic and ginger instead of roasting them. 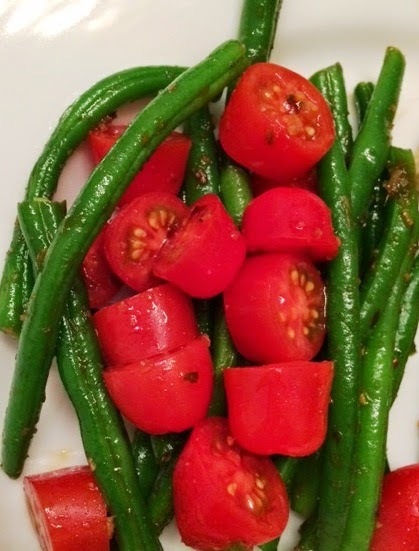 I used just 1 lb of regular green beans (made basically half the recipe). As a result, we had extra sauce which I used on top of my rice. We had this with white rice and an ad hoc dish of shrimp and tofu.